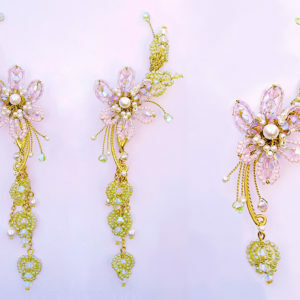 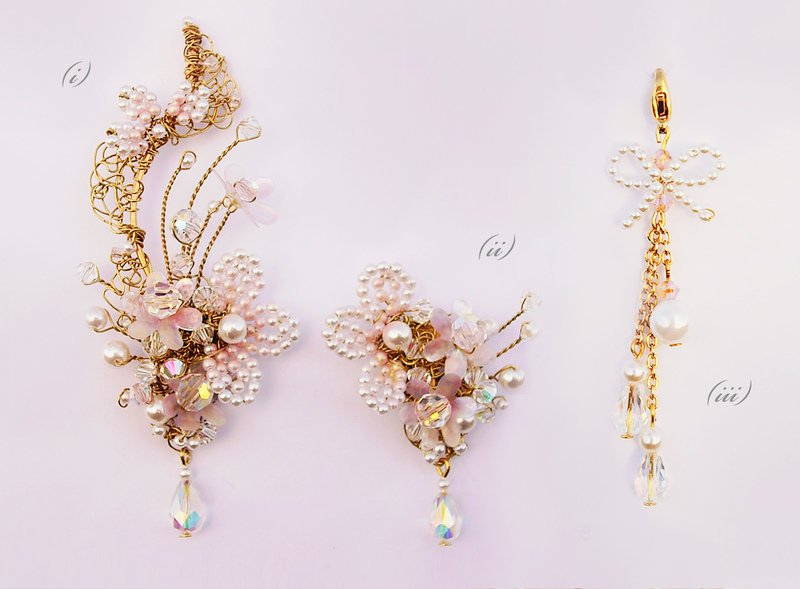 Fleur Antoinette - Adaptable, Bridal, Ear Climber, Chandelier Earrings. 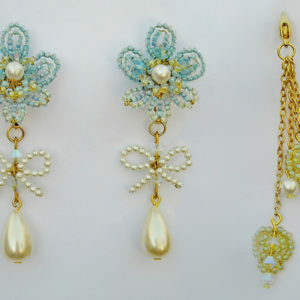 Adaptable Chandelier Earrings | Made to order, ships in 4-6 weeks. 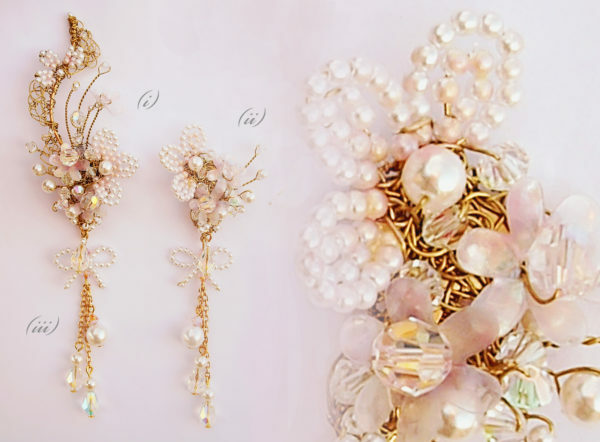 Delicate, hand beaded flowers create these mis-matched, versatile & adaptable clip on earrings; they have clip on earring extenders to turn them from short to shoulder dusters & can be ordered as individual components to make them your own. 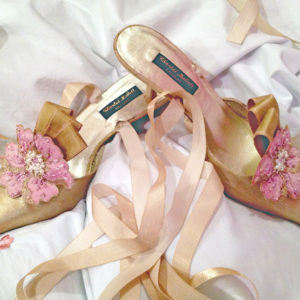 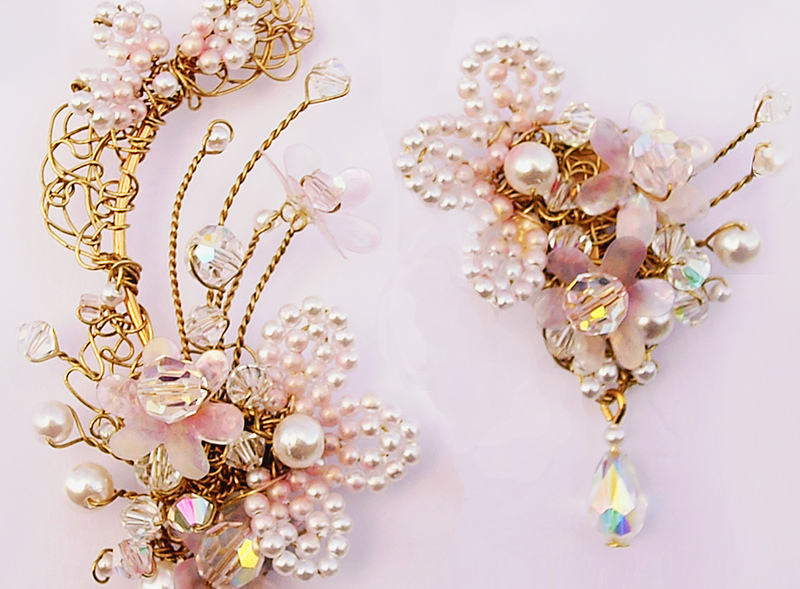 Shown in ivory & pink pearls, pink & clear crystals with aurora borealis finish & pink flower heads.